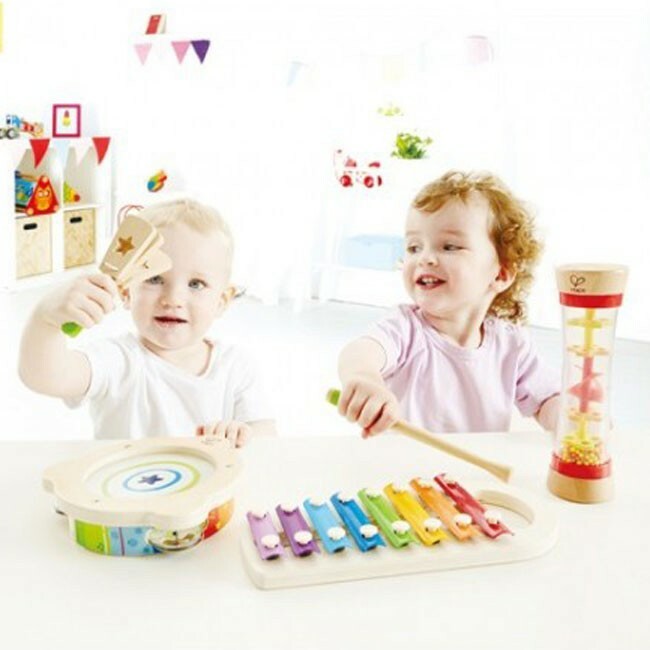 Hape's toddler first musical set comes with 4 fun rainbow colored shakers and musical instruments to jam alone or with friends. 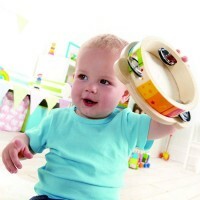 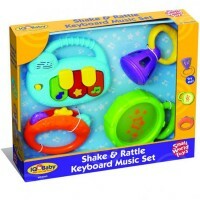 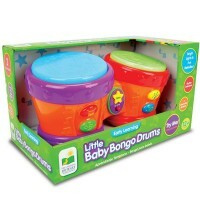 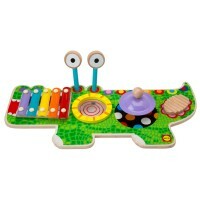 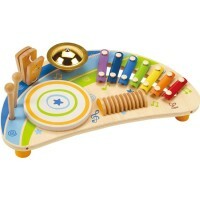 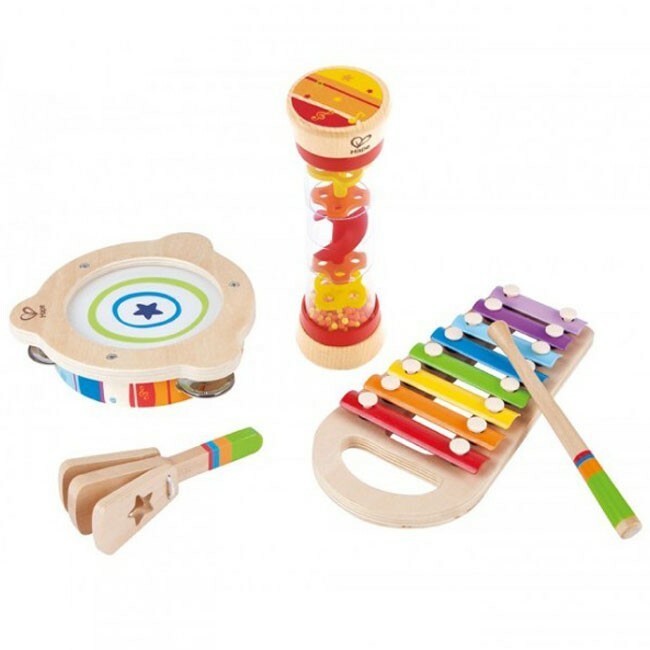 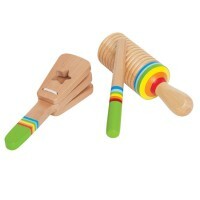 Music, rhythms, and rocking fun is guaranteed for toddlers and preschool kids with this music making toy set by Hape. 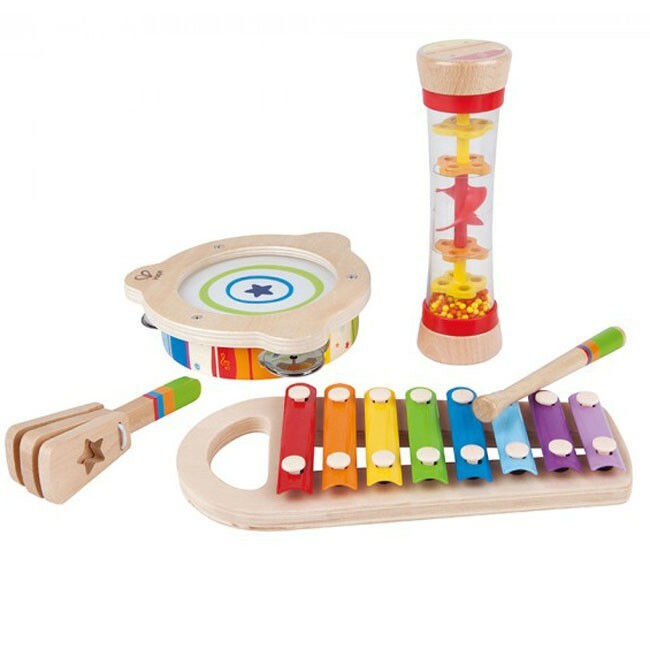 Educational Toys Planet introduces the Toddler Beat Box Set of 4 Musical Instruments as the first set of cool musical instruments for children. Wildly colorful kids musical instrument set comes complete with a wooden tambourine, red beaded raindrops tube, rainbow xylophone, and wooden noise making clapper. 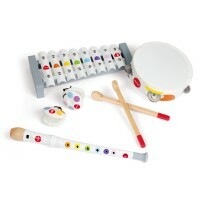 Play and create your own rhythms and music by yourself or with your friends! 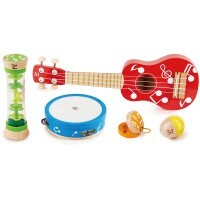 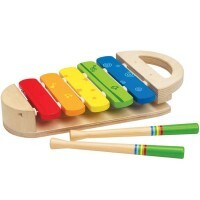 Dimensions of package 14" x 2" x 15"
Write your own review of Toddler Beat Box Set of 4 Musical Instruments.